Yes, you read that correctly. 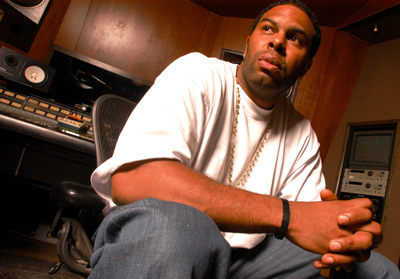 CL Smooth, the rapper we all loved when he and beatmaker Pete Rock brought us the smooth yet rugged side of hip hop in the early '90s, has a new track. Jacking LTD's "Love Song," CL's vocals seem drowned out by Jeffrey Osbourne's voice. Possibly, the producer may have opted to go for using the instrumental track or just not including so much of Osbourne's vocals on the track so we could hear CL's flow. Nonetheless, CL brings the smoothness to his rhymes that he has been known for all these years. He's still looking pretty good after all these years, too, but maybe I should have kept that to myself. Good looking to Mick Boogie for the link. CL Smooth: "Dripped In Champagne"
The name is Diaz Millenia from Beatknockaz International, and I porduced the track "Dripped in Champagne." CL was a MONSTER in lab lacing this one, and there will be many more joints coming soon with us. This will be the single off his next LP soon to be released. Thanks for the positive feed back, keep supporting that real HIP HOP!